The war on terrorism and the wars in Iraq and Afghanistan have led to a secrecy explosion. 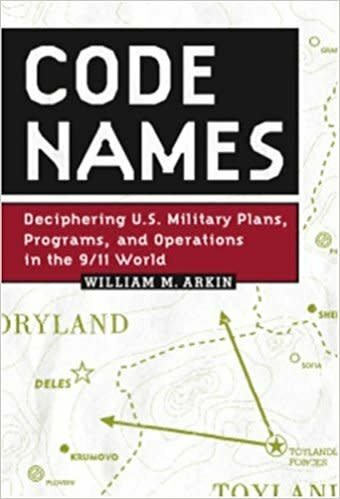 In the 9/11 world the U.S. military and intelligence organizations have created secret plans, programs, and operations at a frenzied pace, each with their own code name. In a perfect world, all of this secrecy would be to protect legitimate secrets from prying foreign eyes. But in researching Code Names, defense analyst William M. Arkin learned that while most genuine secrets remain secret, other activities labeled as secret are either questionable or remain perfectly in the open. The sheer volume and complexity of these operations ensures that the most politically important remain unreported by the press and shielded from the scrutiny of the American electorate. Despite the intelligence failures of 9/11 and the questionable assumptions that led to the war in Iraq and govern the war on terrorism, the U.S. government argues for massive amounts of funding and resources, while at the same time claiming that public accountability would compromise their missions. Arkin didn’t accept this argument during the Cold War – when he published two books that revealed U.S. nuclear “secrets” and led directly to a healthier public discussion of a “nuclear warfighting” emerging in the Reagan era – and he is challenging it again today. 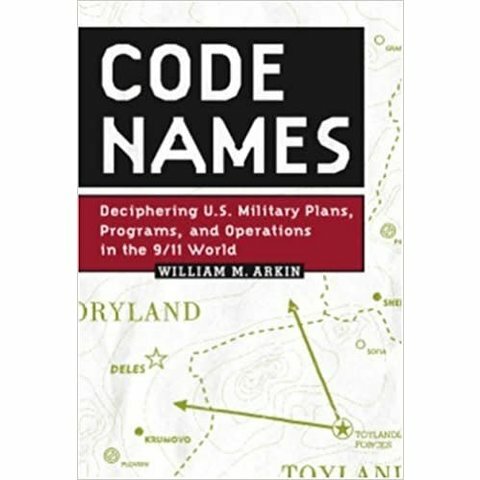 Introduction: Will explain to the American public, for the first time, just what the explosion in the creation of secret code names after 9/11 reveals about overall strategies in the war on terror. Cast of Characters: A brief description of all relevant federal departments, agencies, commands, and organizations. For each there is a discussion of their missions, roles, and activities, their contingency plans and their secret bases of operations. The emphasis is on what is not readily known to the public. Country-by-Country Directory: Details worldwide U.S. military and intelligence operations and relations and briefly describes each country’s recent cooperation or discord with the United States in the war on terror. The Code Names Dictionary: An alphabetical listing of more than 3,000 code names. The emphasis will be on names that are current since the end of the Cold War, are of historical importance, and are not otherwise in the public domain.